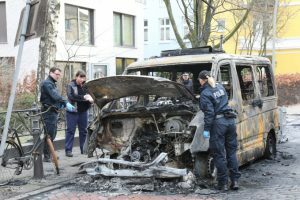 In Hamburg we say goodbye to cop cars – On March 17, we set fire to two police cars in Hamburg. Right near the residence of Mayor Olaf Scholze we burned the vehicle of his guards on Schmarjestraße. 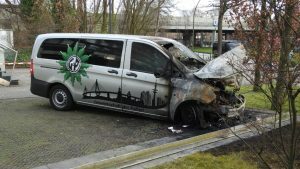 In the Hindenburgstraße in front of the office of the police union (GdP) and directly in front of the police, a GdP van was torched.